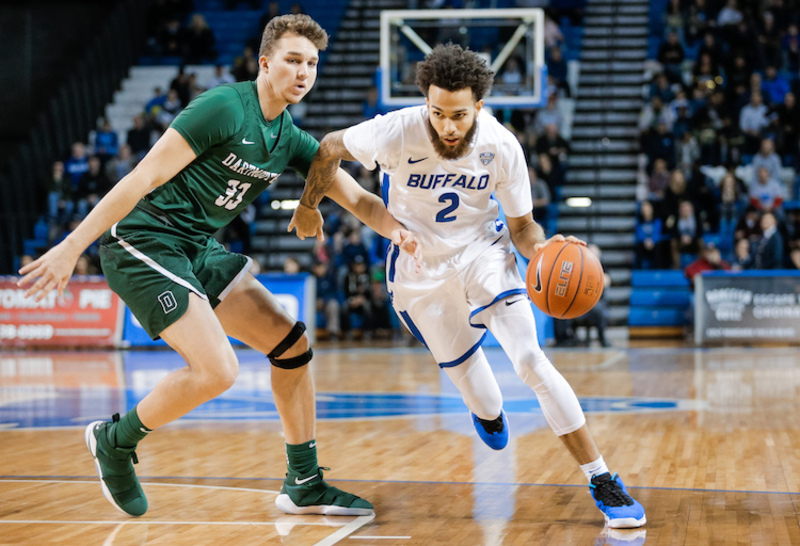 Scouting Report: Buffalo enters this second-round game on a 13-game winning streak, the second-longest winning streak in the nation behind UC-Irvine’s 17. 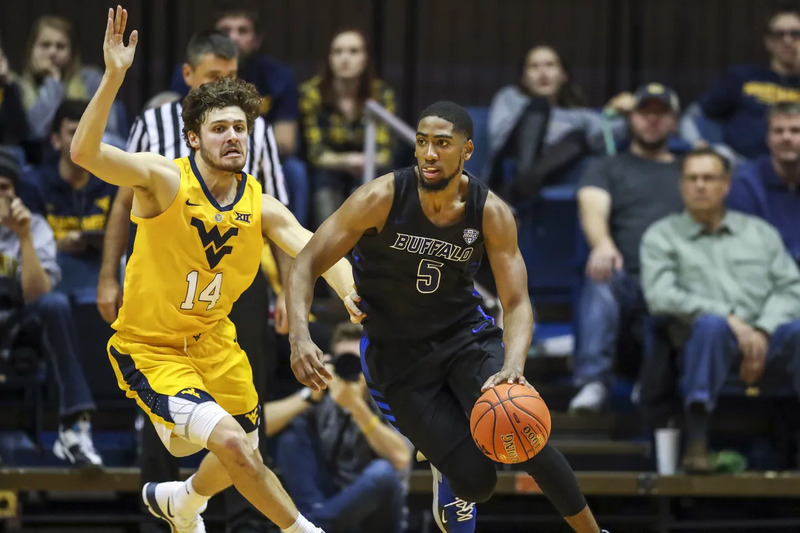 Kentucky ended Wofford’s 21-game winning streak in a second-round game Saturday, which had been the nation’s leading streak. The Bulls average 85.1 points per game and 41.1 rebounds per game. The Bulls were the MAC regular-season and tournament championships. Buffalo opened the NCAA Tournament by running away with a win over Arizona State on Friday afternoon. UB shot 51.7 percent from the field with 10 3-pointers in the 91-74 win. Head Coach Nate Oats defeated his predecessor Bobby Hurley, who is who spent two years as the head coach at Buffalo. five years. Buffalo is one of just 25 teams that has made four tournaments over the last five year period. Those four trips are the only DI tournament trips in the school’s history. Texas Tech is one of the nation’s top defensive teams so Buffalo’s up tempo game will need to adjust. In addition to creating fast scoring opportunities off the break, the Bulls’ 3-pointers must fall to have a chance to advanced. Buffalo played on prior Big 12 team this year in West Virginia on the road. West Virginia defeated Texas Tech in the Big 12 quarterfinals but the Red Raiders had defeated WV twice in the regular season. Davonta Jordan 6-2 Jr. Pts. Reb. Ast. CJ Massinburg 6-3 Sr. Pts. Reb. Ast. Jeremy Harris 6-7 Sr. Pts. Reb. Ast. Jayvon Graves 6-3 So. Pts. Reb. Ast. Montell McRae 6-10 Sr. Pts. Reb. Ast. Key Player: Senior G CJ Massinburg leads UB in scoring (18.3 points) and was the MAC Player of the Year. He is also UB’s force in the paint, leading the Bulls with 7.3 rebounds per game, including 10 against Arizona State on Friday. Massingburg and the other guards have nailed over 37% of their three pointers. The Bulls will need to be hitting these as a key to victory. Key Fantasy Player: Senior G Jeremy Harris has elevated his play in the last three weeks while averaging just 14.0 points per game. He enters the Round of 32 averaging 20.2 points in his last six games, and has scored in double-digits in the Bulls’ last six wins. He is a hot hand right now and looks great as a fantasy help in the Bulls propensity to use the three pointer in its game. Scouting Report: Texas Tech is playing in its 17th NCAA Tournament appearance in program history and is back in consecutive seasons for the fourth time. The Red Raiders opened the tournament with a 72-57 rout Friday of Northern Kentucky. The Red Raiders have limited opponents to 59.2 points per game; Northern Kentucky shot 37.1 percent and had 17 turnovers in its first-round loss to Texas Tech. Texas Tech also leads the Big 12 with 165 blocked shots. The Red Raiders’ offense averages 73.1 points per game. Last year, the Red Raiders advanced to the Elite Eight round before succumbing to eventual national champion Villanova. It looked like it might be a rebuilding year after losing five seniors off last season’s team. Texas Tech, however, remained a veteran team through recruiting by adding graduate transfers Matt Mooney (South Dakota) and Tariq Owens (St. John’s) to go along with returners Norense Odiase and Bradone Francis to make up a veteran senior class of four for the Red Raiders this year. The group came together and were the co-champions in the regular season in the Big 12 but fell in the quarterfinals of the Big 12 Tournament to West Virginia. West Virginia is the only common opponent for these two teams. 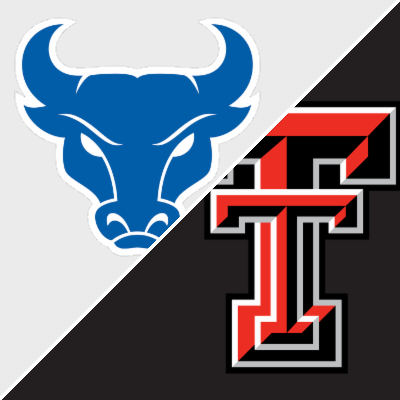 This is also the first ever meeting between Buffalo and Texas Tech. The Red Raiders are, however, 5-6 all-time against Mid-American Conference opponents. While Buffalo has won 13 games in a row, the Red Raiders have been nearly as hot–winning 12 of 14 contests. Matt Moody 6-3 Sr. 10.9 ppg; 3.5 apg. Key Players: Seniors C Norense Odiase and F Tariq Owens are 6-foot-9 and 6-foot-10, respectively, and average at least 5.1 rebounds per game each. These two will cause some match-up issues not just on the defensive side but could both be key for the Red Raiders on the offensive side to take advantage of their height against a shorter Buffalo team. Key Fantasy Player: Sophomore G Jarrett Culver is likely NBA Draft pick this summer. He is the leading scorer and rebounder currently for the Red Raiders. He has averaged 18.8 points per game and 6.4 rebounds per game. Look for those numbers to continue in this game and be a very good fantasy play today.